Capt. Joe Kent of the mv. Ron Hull holding the boat’s COI. 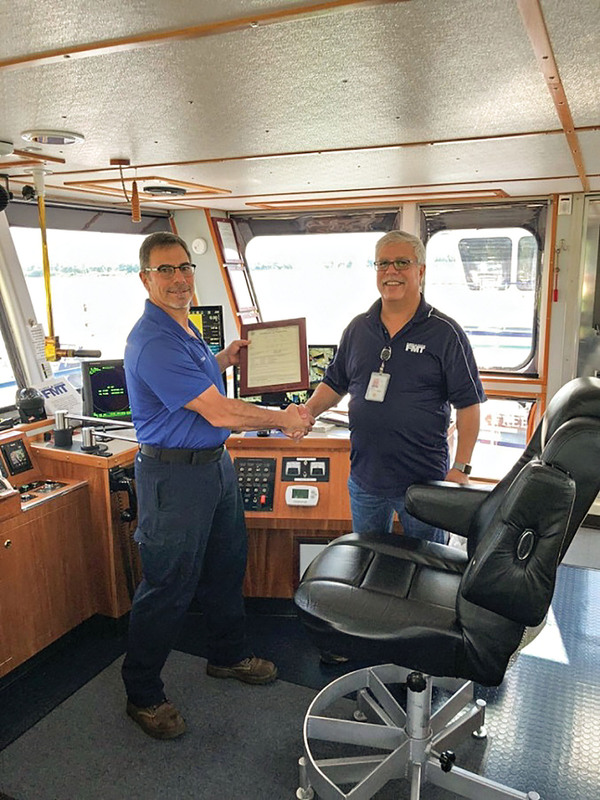 In the river industry scramble to attain the certificates of inspection (COIs) necessary to comply with the recently enforced Subchapter M requirements, one company has racked up a number of firsts. Florida Marine Transport LLC, based in Mandeville, La., recently received first issuance COIs from four Coast Guard Marine Safety Units, and one of the COIs was also a Third Party Organization’s (TPO) first COI. Capt. Ricky Torres and Capt. Tony Economy on the mv. Capt. Ricky Torres. Marine Safety Unit (MSU) Port Arthur issued its first COI to the mv. 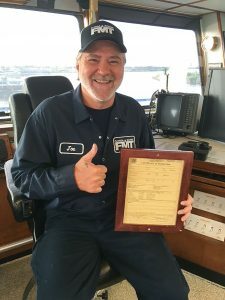 Ron Hull, which was the first Florida Marine towboat to be inspected. MSU Texas City issued its first inland towboat COI to the mv. Capt. Ricky Torres; MSU Greenville awarded its first COI to the mv. Capt. Phillip Box, which was also TPO Decatur Marine’s first COI issuance; and MSU Victoria issued its first COI to the mv. Michael Akui #86. Two other Florida Marine boats have received certificates of inspection to date: mv. Stephanie Kennelly (MSU Houston) and mv. Cindy Hull (MSU Port Arthur), and “more are on the way,” said Brumfield, who added that the company used two TPOs in the process: Decatur Marine for the mv. Capt. Phillip Box and TVIB for the others. 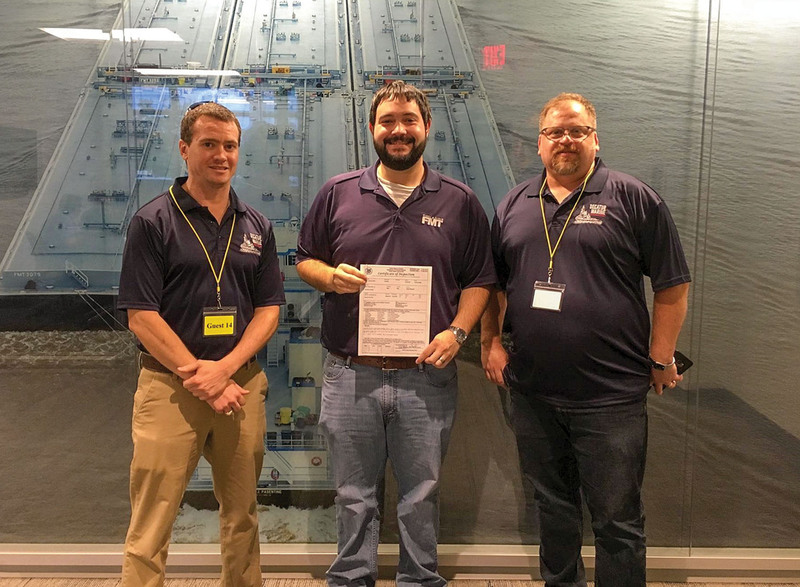 Caption for top photo: Kevin Wakefield, Decatur Marine; Eric Brumfield, Florida Marine; Philip Carmichael, Decatur Marine.